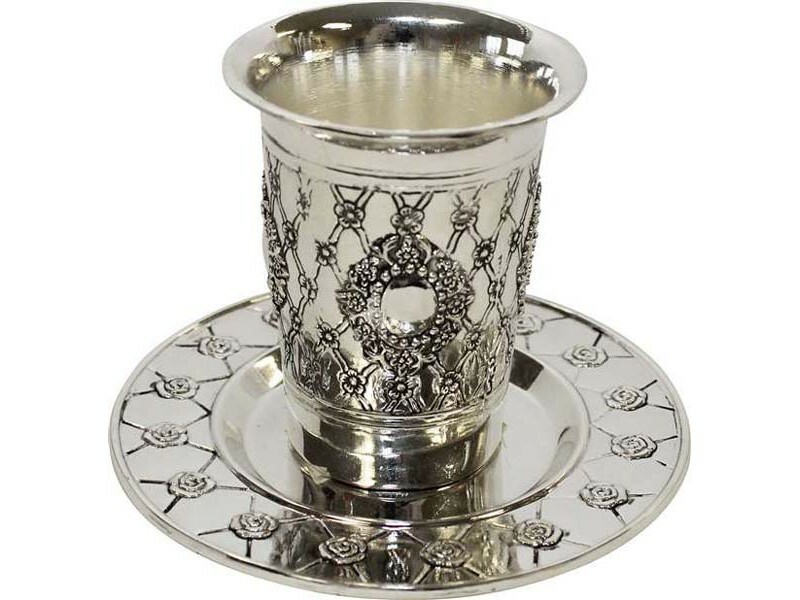 This silver plated Kiddush cup will add beauty to your Shabbat and holiday table. Kiddush cup is decorated with a lattice design with flowers as well as an ornate embellishment in its center, creating a magnificent piece. Come complete with a coordinating round saucer. This kiddush cup and plate will surely enhance your Kiddush ceremony.